Renovations of ‘listed’ buildings are notoriously difficult. A photorealistic and accurate 3D model allows communication across all levels. The transformation of a building listed under cultural preservation involves a series of stakeholders, from local authorities and architects to sub-contractors. Different stakeholders require different levels of documentation, measurements, and dialogue. A photorealistic and millimeter accurate 3D model of the exterior and interior of a building allows communication across all levels and enables a broad variety of preservation, construction, and design applications. 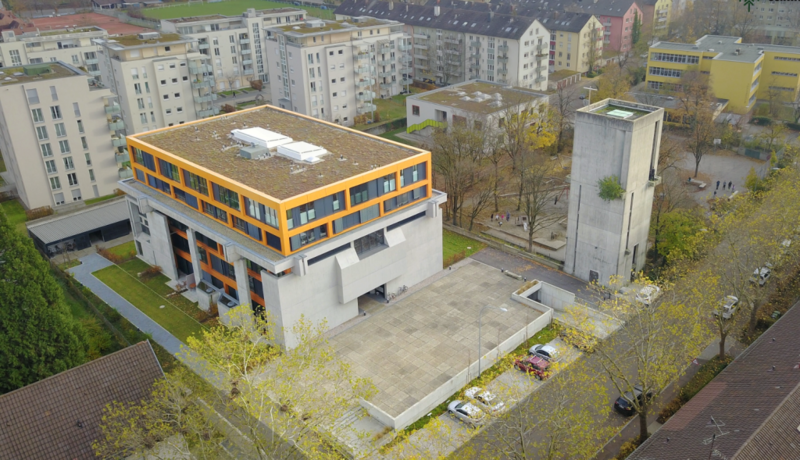 The spatial characteristics of the building, the heterogeneous texture of the concrete, and the reduced number of windows, together with vaireco’s professional expertise for image acquisition and editing, made the photogrammetric reconstruction successful, especially in the indoor mapping section of the project. The church of St. Elizabeth, built in the mid-1960s in Freiburg, Germany is one of the most emblematic projects from the German architect and master church builder Rainer Disse. Disse was known for his expressive brutalist style which was influenced by his training under the Bauhaus architect Egon Eiermann. St Elizabeth church is a bold design of exposed concrete. The church complex — composed of the main building and a freestanding bell tower — is officially listed under cultural preservation. The main building was converted into an apartment complex in the early 2010s. The bell tower, however, turned out to be a more challenging structure and its future remained undetermined until the architecture artist and builder—Architektur-Künstlerin in German— Ingrid Maria Buron de Preser stepped in and received permission to convert it. Architecture artist and builder Ingrid Maria Buron de Preser envisioned the concrete structure as a contemporary urban object for living and working — a home for creativity. The five-story building will host a creative studio for art and culture workshops, two apartments plus the bell chamber, which will be transformed into a penthouse. To produce the pre-renovation documentation, Buron de Preser contacted Dr. Ken Varner, Operating Manager at vaireco GmbH. Vaireco specializes in precision photogrammetry applications and technology for millimeter accurate 3D surveys of buildings. Most of their work focuses on renovations of old buildings —churches, castles, stone walls— that typically fall under Germany’s cultural preservation protection. Vaireco delivers 3D models that drastically simplify damage documentation reports required by cultural preservation offices. Explore this project on the PixD Cloud. In the case of the St. Elizabeth church, the vaireco team performed a 3D photogrammetric survey, tying up outdoor and indoor data. The result, a single and complete reference file, shareable with just a click, facilitated the work and communication across multiple teams involved in the project. “Wow! You can see every detail and you know exactly where it is.” was the reaction from Buron de Preser when Varner presented her the 3D model. The architect, the subcontractors, the city planners and the local cultural preservation office used this visual, measurable, and interactive 3D model to visually assess damage, and pull out measurements. 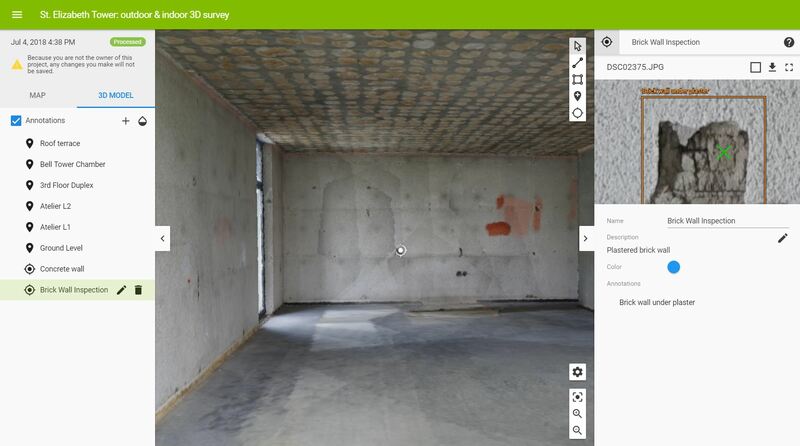 The main goal of the survey was to provide high-resolution visuals — with a GSD in the millimeter range — of the concrete facades and the internal walls, and sub-centimeter measurements for architectural and renovation planning. The full project, from image capture to results, took 4 days. On the first day, the team acquired the images; the second was dedicated to processing the images in sub-projects; the third to merging projects, calibrating and generating the point cloud. The last day was allocated to editing the point cloud, generating the mesh, and publishing it. The image acquisition and field calibration took 6 hours. The data acquisition was mostly performed by the vaireco team using a handheld Sony alpha 5000. The upper half of the tower’s exterior surfaces was captured by Sebastian Mattes of Schwarzwalddrohne using a DJI Mavic. The two main challenges at the image acquisition stage were capturing every single corner and feature of the entire building both inside and outside and accurately linking the indoor images with the outdoor images. These challenges were however solved by carefully planning the transitions among spaces before beginning the image acquisition. This technique is similar to the one that was used in the case of modeling UK's tallest tower. 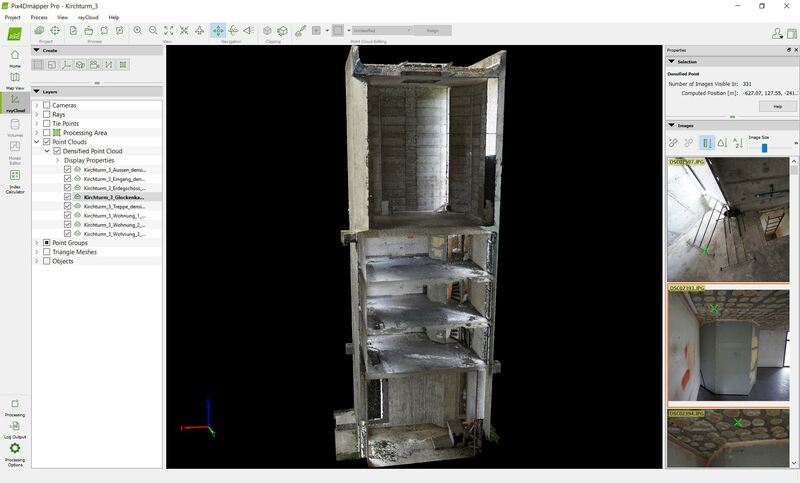 To create the 3D model, the images were processed with Pix4Dmapper photogrammetry software. To start with, the images were divided into blocks and calibrated separately as individual projects. After that, these subprojects were merged into a single project which was then optimized. The next step was to process the project and generate the point cloud. Editing the point cloud, generating the mesh and publishing were the last steps. “Pix4Dmapper combines high-quality visuals with high levels of measurement accuracy, but its defining advantage is its flexibility to manually get inside the model and approach challenging photogrammetry projects with ease.” Dr. Ken Varner, Operating Manager at vaireco GmbH. In the end, vaireco achieved a mean GSD of 1.5 mm and a relative measurement accuracy of ± 3 mm. The model was then used as the baseline documentation for the preservation documentation, concrete analysis, planning, and renovation. In addition to simplifying documentation and streamlining collaboration and communication, accurately modeling the outdoor and the indoor of the building in a single model is the precise depiction of the wall and floor thickness. In this case, the facades, walls, and floors are all solid concrete and their thickness can now be accurately verified. Professional drone based mapping, purely from images. For many construction firms, there is simply no way to avoid rework. 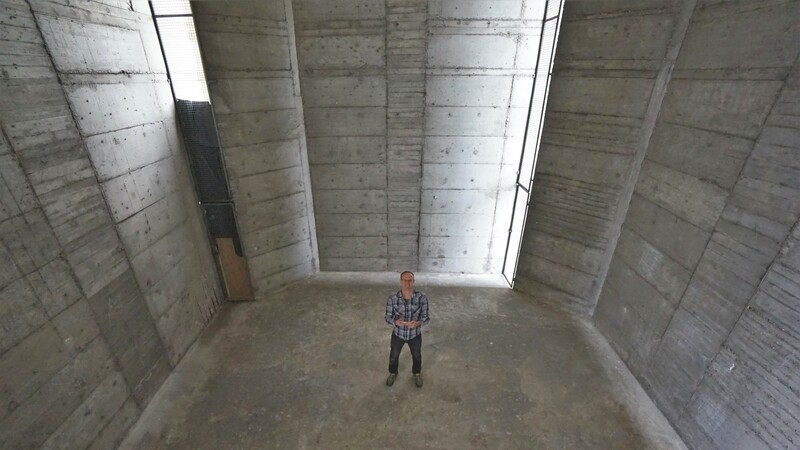 For Barnhill Contracting Company, the solution is called Crane Camera. 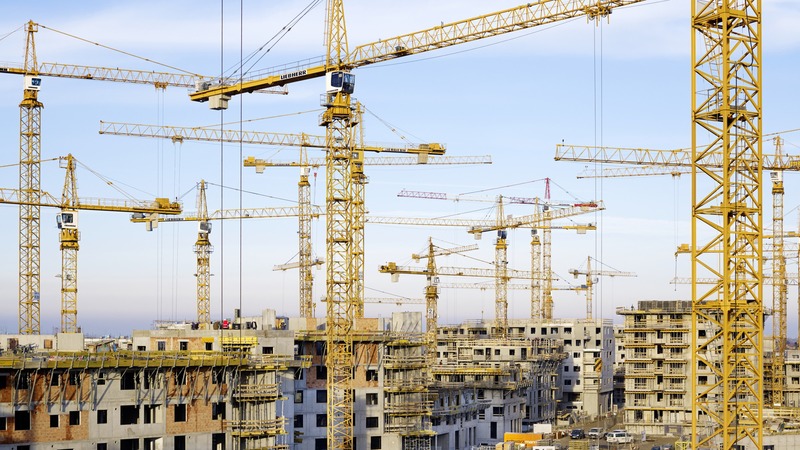 Planning and monitoring construction projects in tight urban areas is a challenge. That’s why The Beck Group relies on the Crane Camera. 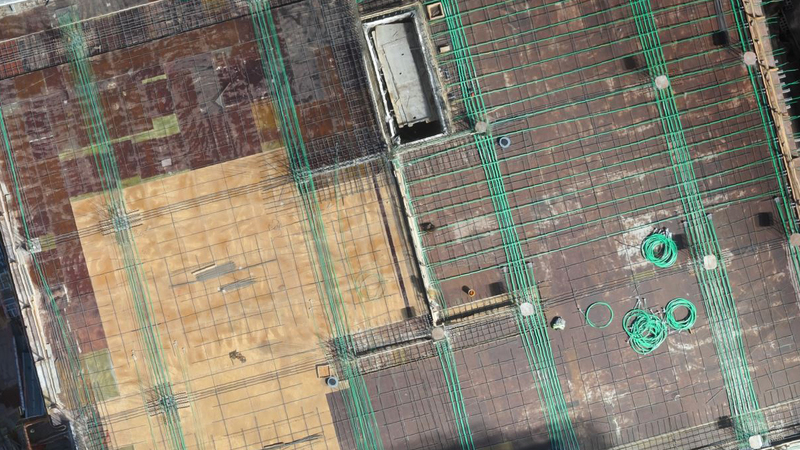 Companies like VolkerWessels, Bouygues and Vinci are already using Pix4D’s Crane Camera solution. But is it the right solution for you?